CAROLINE: Michael, thanks so much for sharing with us today. It is always a delight to connect with you, your humour, and your wisdom. MICHAEL: Thank you for the invitation. In my view most people take themselves and life far too seriously. Considering that we are an immortal species living under the restrictive belief of our mortality, there is plenty of room for humour. And as for the aspect of wisdom; I have learned that wisdom is the distillation of experience and intelligence. We keep our wisdom for ever, even though few people are aware of where it is stored or how to retrieve it. That requires wisdom! CAROLINE: Your message of consciously choosing Unconditional Love has been a catalyst in the evolution of my relationship with myself and with other people. What is Unconditional Love and why is this message so powerful? MICHAEL: Unconditional Love is exactly what the words imply . . . and so much more. To Love yourself without any conditions is a movement into greatness. Loving yourself unconditionally means that all self-criticism, self-judgement, self-anger, in fact, every negative reaction against yourself comes to an end. You are who you are. Nothing to judge, nothing to criticise, nothing to excuse, etc. You are you, doing and being and living your life in the way that you are. Nothing in life is right or wrong or good or bad, but . . . there are consequences. As you treat yourself and other people, so life will treat you. When you treat others badly, life will treat you badly. When you treat yourself and other people with as close to unconditional Love as you can manage, you will find that your life is moving you in a far more uplifting and positive direction. The message of Unconditional Love holds power simply because you are the creator of your life. If you live with Unconditional Love for all life, then you are creating a life for yourself based on the highest principle; the Principle of Love. This does not mean an instant change, or a quick fix; it means that you are now moving your life in a new direction, one of newness and Love. And it is worth emphasising that a life of Love strongly attracts newness, rather more-of-the-same. 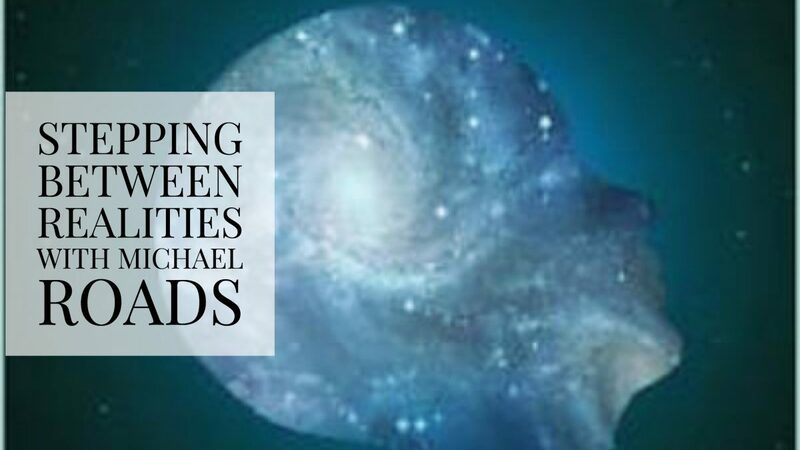 CAROLINE: Michael, in your books you travel in your light body Mixael to explore other realities that would not be possible to experience in your physical body. You teach that we are more than our body personality, that we are souls with a body – truly metaphysical Beings. Is it a big leap in personal evolution to awaken to the idea that we are metaphysical Beings and not limited to the body we have long identified with? MICHAEL: First of all, you have jumped to a false conclusion. I do not have a light body named Mixael. Many years ago – measured in linear time – I entered the experience of enlightenment. At this time, by choice, the soul Michael stepped away from the physical body, and by prior agreement, I, the soul Mixael, stepped in. My physical body identity remains as Michael, but while I travel in my Light-body, I use my soul name of Mixael. We are each an immortal soul on a journey into ever expanding, ever transcending states of consciousness. Like a skylark, we are ascending into the unknown, on a journey of Mystery. Let me state that there is no mastery over mystery, only surrender. We have the English word – individuality. Look at this in a slightly different way . . . in-divided-duality. We have the duality of the mortal body/identity with its intellect, and the metaphysical immortal body with its intelligence. The mortal and immortal bodies are both Light, but on very different frequencies. We only see frequencies that are slower than the speed of light, so we do not see our own immortal bodies. We are so enchanted by our clever/stupid intellect that we are blind to the wisdom inherent in our intelligence. You only have to look at how we plunder the Earth to see the truth of this. When you erode the very foundations of life, how long can you expect to remain unviolated ? Is it a big leap to realise that we are truly metaphysical Beings? I guess it is. It is a leap that takes us beyond the arrogance of the intellect into the rarified realms of a much higher conscious expression. It is called ‘soul growth,’and it is the reason we are here. To have the intellectual knowledge that all life is connected – is meaningless. It is knowledge empty of energy. However, to experience the connection of All life is powerful, and filled with energy. Most people today are disconnected from life. Despite our intellectually based lives, there is no way we can create an intellectual connection. Our connection is experiential only. 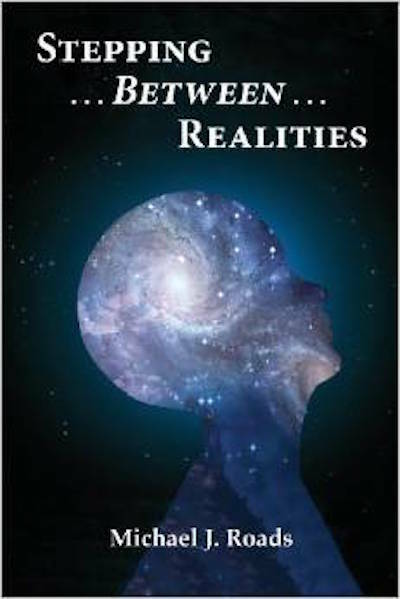 CAROLINE: You have written many amazing books offering your readers consciousness-expanding experiences. Your latest release Stepping…Between….Realities is a very wow consciousness-expanding experience as we travel with you to visit with other realities, other realms throughout our galaxy. Your telling of your experience with the black hole was particularly expanding for me. MICHAEL: I guess each reader will find their own place in the experience of reading my books. To some they will be fantasy . . . and that’s okay, but for others who are ready to grow and expand in consciousness, there is an inner recognition of truth, no matter how fantastic. The Black Hole was an experience that shook me to my core, and I had to stretch and grow just to remain within the experiences it offered me. CAROLINE: Please tell us about the light flakes that you witnessed on one of your journeys. Are we constantly being offered light? MICHAEL: A photon is basically a measure of light, so the Light flakes, or photon flakes that I encountered at the end of the 2012 episode, were, in a way, the energetic heralds of BIG change. When you ask if we are constantly being offered Light, you are asking a question that has many different answers. If you are closed to life and Love, then yes, the offer is there, but no, you are very unlikely to encounter it. Energy attracts. A negative person attracts negative experiences . . . not much Light in this. A positive person attracts positive experiences, plenty of Light opportunities here. If you think that the Light is the latest cool trend, and you look for it . . . small chance. If you are living your life as enthusiastically and with as much care as possible . . . then almost certainly the Light will find you. We attract or repel Light. This was so at the end of 1012, and it is the same now, only with a considerably stronger repulsion and/or attraction. We are living in unique times. Humanity’s journey is no longer one where we all travel the middle road. Now, we either travel the high road, or the low road. Most will take the low, for this is as simple as more-of-the-same. To travel the high road literally means to consciously raise your consciousness. This is why I speak and write so much about choosing Love! CAROLINE: I was fascinated by your visits to the mental and emotional astral worlds. I did not realize that these worlds existed in the way that you experienced them. Michael, what are these worlds and what is the importance of emotional completeness? MICHAEL: It is impossible to describe all the astral worlds that are available. Our language caters for the physical worlds, not the metaphysical. However, when a soul has been very deeply traumatised, and the time comes to reincarnate once more, some are so frightened of the all-consuming combination of physical, mental and emotional stress that they opt for incarnating into an emotional or mental astral realm where they can more safely grow. Although there is less complexity to deal with, this does not necessarily mean an easy ride. Trauma is trauma, no matter what grade of trauma it may be. In the vastness of the timelessness in which we live – we call it eternity – the troubled soul finds immeasurable ways in which to grow, and also in which to recuperate. We need to release our limited and conditioned thinking, expanding our thought flow ever outward to embrace eternity. When you seek to understand knowledge, you reduce the subject to your own very limited level. When you embrace knowledge, you expand in conscious intelligence, rather than intellectually. Humanity seems to have forgotten that we are Beings of conscious intelligence, rather than Beings of a subconscious intellect. CAROLINE: Michael, you and I both have a deep passion for plants and gardening. Please share with us how the different modes of agriculture that you observed in Stepping…Between…Realities express themselves energetically? MICHAEL: Our commercial agriculture of today has a very low energy value. The soil is depleted on every level; minerals, organic matter, and the micro and macro soil life. As a result, our crops are stressed and diseased, and infested with the insects pests that Nature uses to remove our agricultural travesty of naturalness. Weeds that would refurbish the soil with nutrients, are chemically poisoned. The disease causingfungi dominates the beneficial fungi . . . and in all this mayhem the pharmaceutical giants are celebrating their excessive income while causing the unaware consumers to become ever sicker with poor, low energy food crops! This is the stark reality of agriculture today . . . and it is getting steadily worse. Within the agricultural reality I stepped into, a slightly higher life- frequency was immediately apparent. The agriculture soil was fully mineralised, which is the very basis of a vital soil. A richly mineralised soil is an essential factor. The organic matter content of the soil was high, meaning that the soil was able to maintain a high level of micro and macro soil life; this should weigh in at several tons per acre. They, in turn, create the formation of humus, which is the true measure of fertility in a soil. What really confounded me was the cross between the grain and legume plants. This was done in full cooperation with the plant kingdoms, rather than the forced genetic manipulation of our current agricultural reality as they attempt, and fail, to create the same hybrid cross. In essence this cross means that the crop plant produces the nitrogen from its root nodulation that the grain of the plant needs to produce a bumper crop of healthy grain; grain with a nutritional value that is perfect for people to ingest and thrive. No gluten problems here! CAROLINE: I enjoy your many YouTube videos and Michael’s Musings you post on Facebook sharing your wisdom daily. One of your teachings is that Peace lives within each of our hearts. Please tell us more about that. MICHAEL: Peace is a state of consciousness. Sadly, not many people experience it. Peace begins with your relationship with yourself. No self-criticism, no self-judgement, no self-comparison, all these go a long way toward peace. The mind will never find peace for you, nor will it ever understand it. The mind does not experience peace, for that is not its nature, yet neither will it deny you peace. Peace is found in your relationship with life. It is as it is . . . this is a path toward peace. Righting wrongs judges and separates, this is not path toward peace. On the other hand, there is no peace in apathy, only a slow and gradual decline in your relationship with life. Peace is a dynamic, yet it is the dynamic of calm and silent. Within the human heart there is peace, but this is not the physical heart, yet neither is it denied to the physical heart. We are metaphysical Beings, and peace is purely metaphysical. If we deny our greater immortal Self, how can there be peace within? There cannot. So most people deny their inner peace by denying themselves. Self denial is very common. Accept who you are. Be who you are. Allow life to reach you. Strip away the protection and safety of false beliefs that people are so swaddled in . . . allow a spontaneous interaction with life to take place that you need not understand. Make room for peace to find you, for only in this way will you find peace. It is only natural that peace is synonymous with Love. For so many people Love is simply a word. Sure, as a word Love has a beautiful meaning and a deep sincerity, but Love is far more than this. Love is the power of creation. When we introduce the power of Love into our lives, we are inviting Love to uplift and transform us into the expression than is unique to each one of us. So, as I constantly write . . . choose Love! CAROLINE: Michael, I express deep gratitude to you for all of your work, your invaluable message of Consciously Choosing Unconditional Love, and for sharing with us a glimpse into your latest book Stepping…Between…Realities. 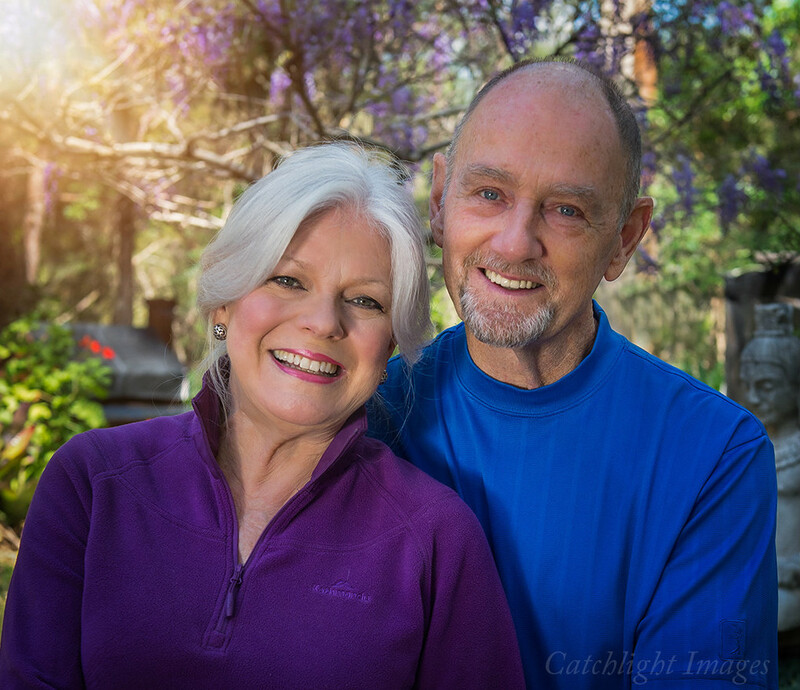 I am delighted that you and Carolyn are now coming to the United States each summer to teach your intensive. Can you share with us the focus of the intensives? My Intensives are always about Love and Truth. My primary focus is on spiritual Enlightenment through the Love and Truth of Self, and on you and your growth as a spiritual Being. I have created a process where, over a period of five days, each participant can experience the deep and profound Love that is their true reality. As, through dialogue and inner exercises, we explore the many avenues and expressions of the reality of Love and emotional balance, a synergy takes place well beyond the spoken word and the illusions of life. This holds an enormous new potential for living life in the richest and most fulfilling possible way. The Intensive offers insight and opportunity for the unfolding of such a profound change in consciousness that both the outer/physical and inner/metaphysical Self are powerfully transformed. Being fully conscious of consciousness in the moment is all it takes to be Enlightened. This is the place of miracles. Reclaim your birthright, and once again experience Love and peace, and the joy of a transformed life. Over the 23 years I have traveled the world as a spiritual teacher, countless participants have said that my 5-day Intensives have been the best event they have ever attended. We invite you to come and joyfully see and experience it for yourself! I highly recommend to everyone the consciousness-expanding experience of reading Stepping… Between…Realties and encourage everyone to visit michaelroadsusa.com and int.michaelroads.org to learn more about Michael, the many fascinating books he has written, and his international 5-day intensives focused on unconditional love and emotional completeness.